For the third day of Recipes with Shelf Life, I am sharing a chutney that has become quite my favorite. 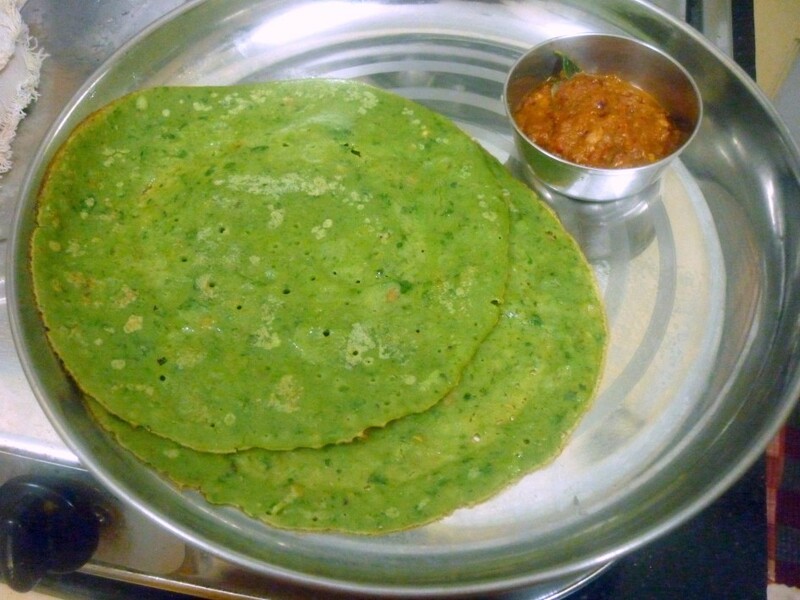 Since the time I made this for Spinach Dosa, it’s been a regular at home. The first time I tasted, I was reminded of that chutney that’s served in a motel en route to Tindivanam. They have this very interesting way of serving the chutneys. I remember musing over this motel’s chutney. They have a big plate that holds all the different chutneys for the day and each table has this plate. Instead of repeatedly asking for refill, we can serve it ourselves. 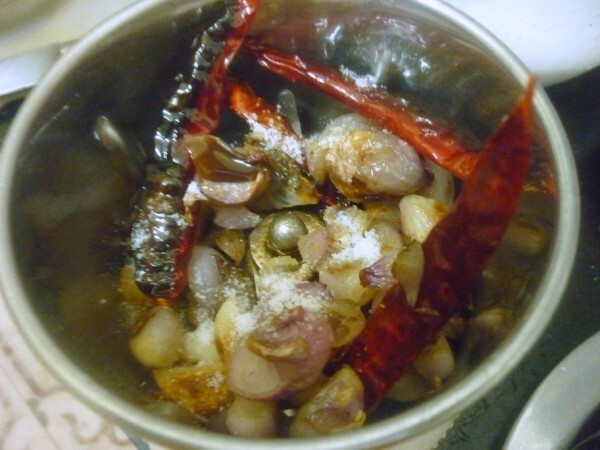 One of the chutneys, is with garlic and red chilies and something else. Well I did try something similar and it turned out be very nice. However this chutney also kind of tasted very much the same. And when served with Spinach Dosa, it was really awesome. Then we stored for a week and enjoyed. And I end up making it the moment it gets over. Wash and soak the pearl onions and garlic in water. This way they peel of fast. Else you can microwave for 30 secs as I did. 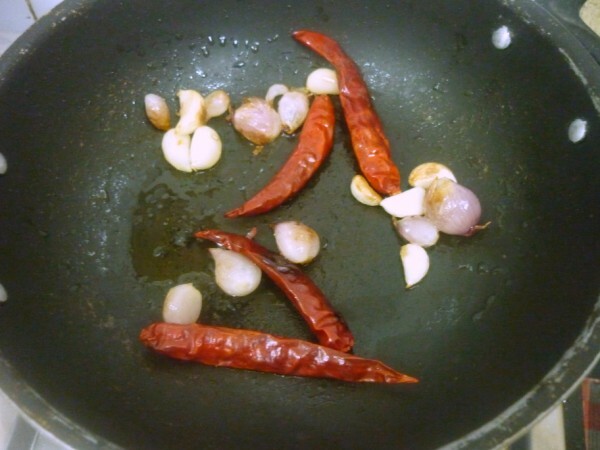 Heat a non stick pan with oil, saute the onions, garlic and red chilies together till the onions turn colour. Allow to cool. In mixer, blend them along with tamarind pulp and 1 tbsp of water. 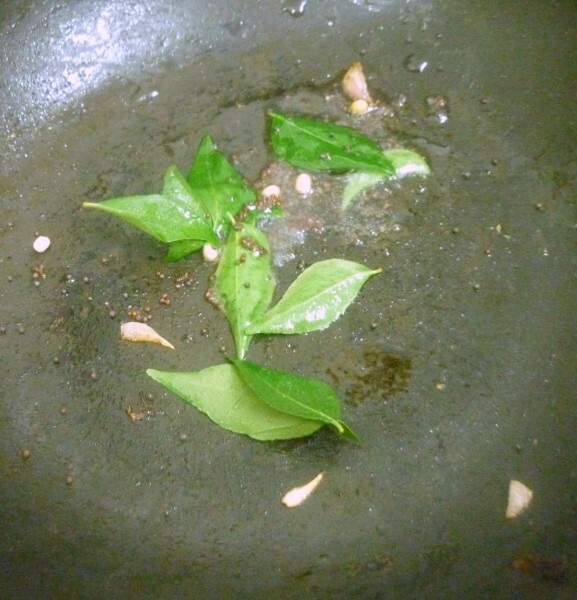 Heat the pan again with oil, temper with curry leaves, mustard seeds and Urad dal. Then add the ground paste. Bring to boil, continue till the moisture disappears and oil comes out on sides. As this is again a chutney that can be stored, make sure the ingredients are sauteed well. Can be stored for a week. 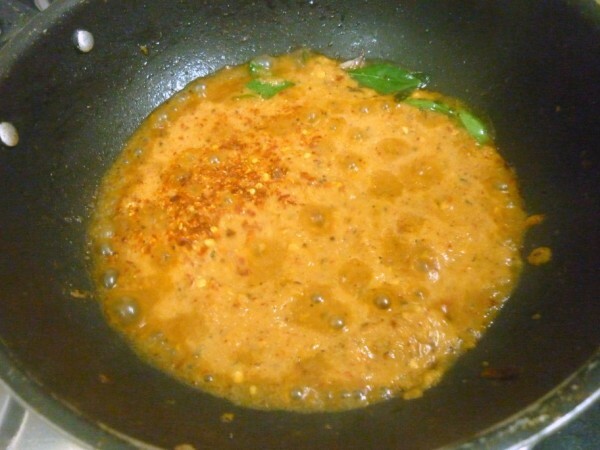 Super tasty and fingerlicking chutney, its been a while i made this chutney. 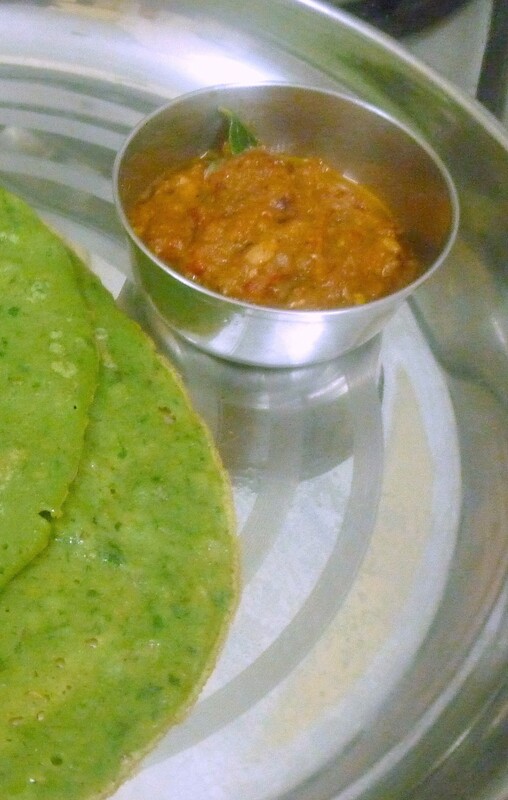 Yummy chutney to go with dosas..
love this chutney, its a regular in my house too.Spinach dosa looks super!!! yummy chutney! just too tempting for me! 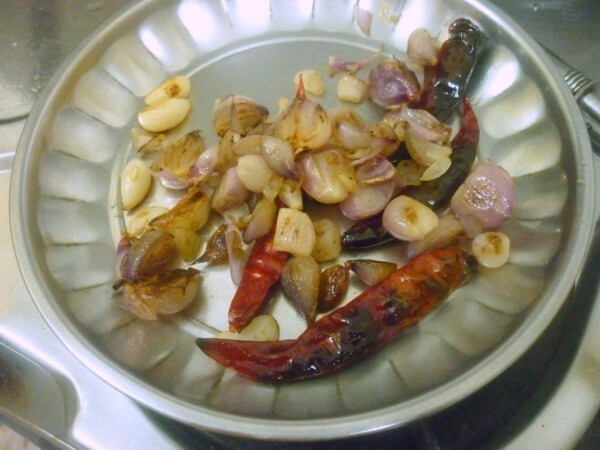 lovely chutney…I will be book marking the series..as all r going to be new for me.love onions and garlic!! Yummy chutney , perfect with dosas. Going to make this chutney now, thanks for the recipe..
On another note, the onions used in this recipe are shallots, and not pearl onions. The latter is different, and is a main staple in Northern Europe.